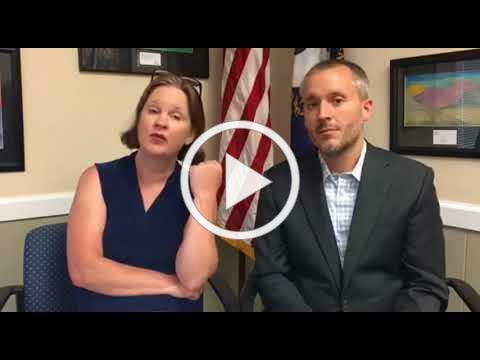 new transcript requirement, superintendent longevity, child well-being and more! Welcome to the inaugural edition of KSBA Aware, the Kentucky School Boards Association's semi-monthly publication featuring education news, legislative developments, research, member polling, advocacy efforts and the latest in KSBA programming. 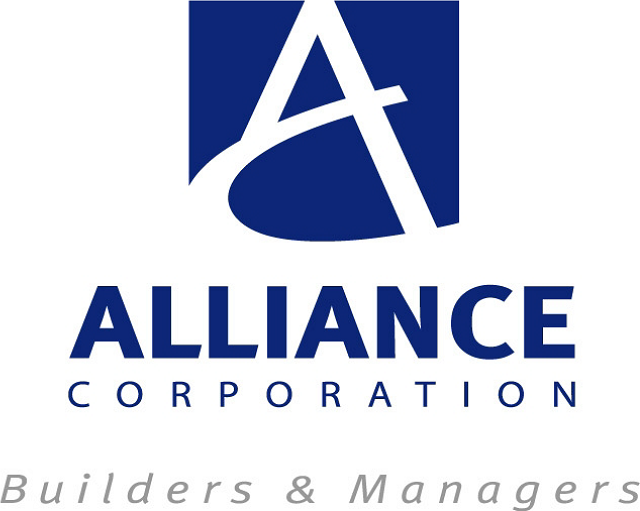 We welcome your feedback on its content, including the topics you would like to see covered in future issues. Enjoy! Kentucky law ( KRS 160.180) now requires a board candidate to file, in addition to the documentation already required for candidates, a copy of a transcript evidencing 12 th- grade completion or passing results from a high school equivalency test. KSBA staff have been hard at work compiling resources for board member candidates seeking election/re-election to ensure understanding and compliance with the new requirement. 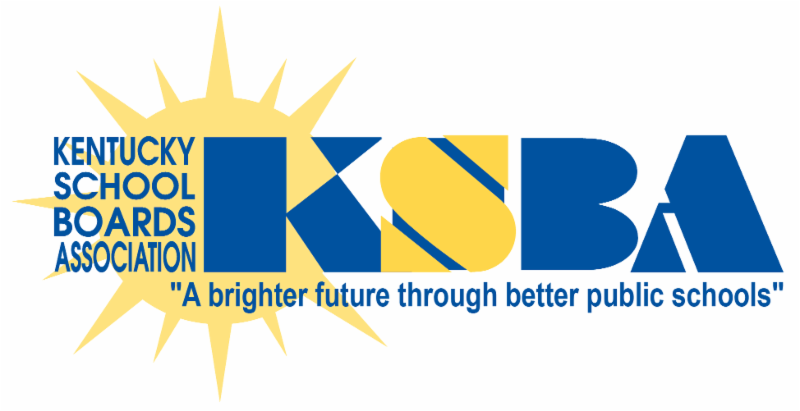 Click here to view KSBA’s board election resources, including frequently asked questions regarding the new requirement. Click the video link below for recommendations for protecting/withholding private information found on your transcript documentation. KSBA In the News: The State Journal of Frankfort discusses the potential problems of the new transcript requirement for school board candidates in Franklin County. Following the publication of this article, the State Journal also released an editorial column. KSBA is cited in both pieces, linked below. To weigh in on the transcript issue, scroll down to the poll in this edition of KSBA Aware. The average tenure of a school superintendent in Kentucky is continuing to shrink, according to data gathered by the Kentucky Association of School Administrators. The average length of service for all superintendents in their current districts at the start of the 2018-19 school year will be 3.86 years, KASA’s Snapshot of Superintendent Service in Kentucky reflected as of June 12. That compares with 3.99 years for 2017-18, and is considerably shorter than the 4.9 years registered in 2007-08. Twenty-seven school districts are getting new superintendents in 2018-19, compared with 18 in 2007-08. At the start of this new school year, just two superintendents will have completed 15 years or more with their current district, compared with six in 2007-08, including two who had more than 25 years helming the same district. Fourteen superintendents will have 10 years or more with their current district in 2018-19, compared with 26 in 2007-08. KASA Executive Director Wayne Young attributed the shrinking tenures for superintendents to a couple of factors. “I think we are seeing an increase in ‘end-of-career’ superintendents; that is, people who take their first superintendent job knowing it will be their final position prior to retirement,” he said. Declining enrollment in many districts, leading to fewer resources and added workload for staff. Lack of state-budgeted raises for staff, leading to more pressure on superintendents and boards to provide revenue. School safety issues, as superintendents realize that no district is immune from a catastrophic event. The 2018 Kids Count state trends report shows Kentucky child well-being dropping in the four measured major areas compared with the 2017 ranking. However, in looking back further, the state has made gains in many categories. There were improvements in all aspects of child economic well-being, from children in poverty to teens not in school and not working. In education, compared with 2010, fourth-graders improved in reading and eighth-graders improved in math; however, the percentage of 3- and 4-year-olds not in school worsened. The picture was more mixed in Family & Community factors, which showed the percentage of children living in high-poverty areas unchanged and the percentage of children in single-parent families increasing from 35 percent to 36 percent. Kentucky kids fared worst in the Health category, showing slight increases in low birth-weight babies, and child and teen deaths. However, the percentage of kids without health insurance decreased to 3 percent from 6 percent. More detailed findings and the county-by-county results will be released in November. To see snapshots showing the major Kentucky results, including the long-term comparison with the recent figures, click here. To see the state-by-state rankings, click here. What are your feelings on the new transcript requirement? The stupidest idea I have ever heard. You can put that word for word. Serving in your local medical practice, what kind of insight has that given you as a school board member? OK, let me just tell you why I became a board member. I was delivering the baby of a 17-year-old pregnant woman. She came, and I have a very busy practice, so we have a lot of things we give them to read. If there are any questions, we answer them after we check them. We give them about three pages and she finished it in just five minutes. I was so impressed because she’s so smart. Then I asked, “You really don’t have any questions?” She said, “I cannot read.” High school senior cannot read. If I give scholarships to college, and kids don’t get reading in high school, how can I change it? So, only I can change if I become a school board member. At that time, I had no idea it was an elected post or anything. So I told people I know that I would like to be a school board member. There was no vacancy at that time. That’s the reason: “I cannot read.” Those words made me become a school board member. I cannot read, from a high school senior. You see, we’re spending millions of dollars on scholarships and kids cannot read in high school. What’s the deal? I was in India, and I had a very, very bad car accident. Me and my husband were in the hospital for six weeks. It was that bad. They sent me an application form for school board at Bombay in the hospital, because someone had resigned. God gave me a second life. So, I wanted to do something I liked. So, I applied. I don’t know how long they waited for me to come back and interview. It was the last day they interviewed me, and I became a school board member. how she prepared for school board service. What is your primary concern with the new transcript requirement for school board candidates? I support the measure. The pros outweigh the cons. Candidates may have difficulty obtaining a transcript. Private information may be made public. Qualified candidates may be deterred from running. There is inconsistent enforcement from one clerk to another. 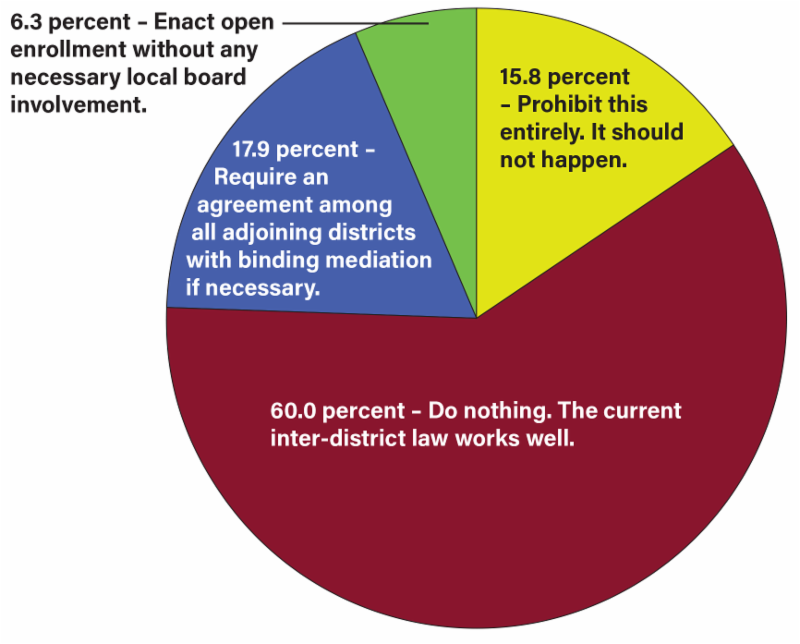 At this past week's KSBA Summer Leadership Institute, we polled attendees on the following question: What should the General Assembly do regarding an open enrollment law to allow students to attend schools in neighboring districts? Planning is underway for KSBA's 2018 Fall Regional Meetings. Save the date so you can attend the meeting in your region or another nearby region. This year's dinner program is entitled “Show Me the Money,” and will gain KSBA members both finance and charter authorizer credits. Regional meeting sites will also provide one-hour bonus session opportunities prior to the start of the dinner program on a variety of topics. More details will be available in the coming weeks.